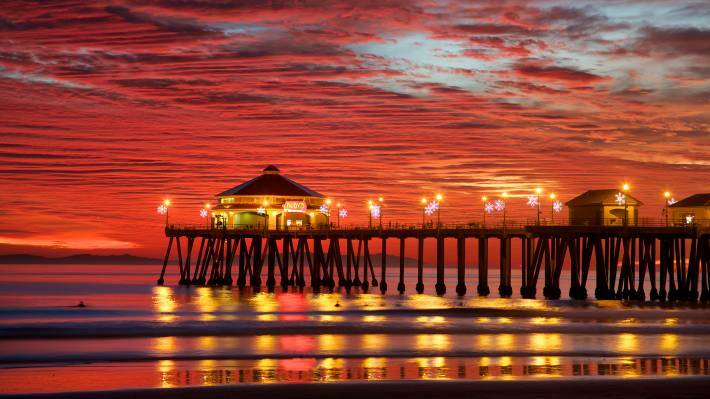 The iconic pier is a must see (and hard to avoid) on any trip to Huntington Beach. Stretching 1,856 feet into the Pacific Ocean, it is the longest recreational pier on the West Coast. 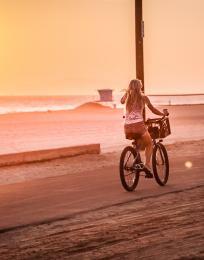 The Huntington Beach pier offers a wide array of people watching, from volleyball players on the sand to cyclists on their beach cruisers and even surfers catching a wave or fishermen catching dinner. Kites and souvenirs can be purchased at Kite Connection and the Surf City Store located halfway down the pier while burgers and malts at Ruby&apos;s Diner are the reward for walking the entire length. 1912 - A winter storm knocked a large chunk of the pier into the Pacific Ocean. 1914 - The pier was rebuilt using concrete to a record breaking length of 1350 feet. 1930 - Another extension was made to the pier that included the addition of The End Café. 1933 - A repair was needed after an earthquake disconnected the new end of the pier from the original length. 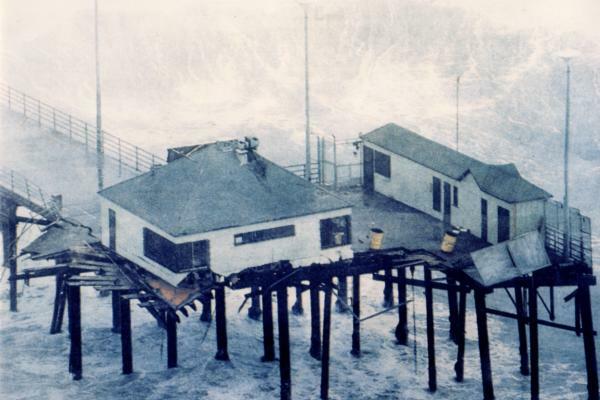 1939 - The café and entire end of the pier plunged into the ocean after a rare hurricane hit Huntington Beach. 1940 - The pier addition was quickly reconstructed and remained intact for four decades while serving as a submarine lookout post for the U.S. Navy during World War II. 1983 - Once again, the End Café crumbled into the Pacific during a spring storm but was rebuilt to include a two story café within the year. 1988 - Winter storms damage the pier for the last time in its history, sending a large portion of the pier into the ocean. 1992 - Nearly $200,000 was raised to reconstruct the entire pier, 13 feet higher and 20 feet longer than its predecessor. 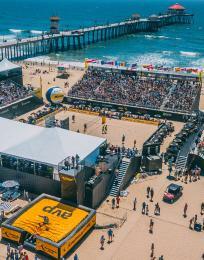 This classic Orange County landmark has remained untouched for over two decades now and is the number one picture spot in Huntington Beach. With the incredible Surf City USA waves and sunsets, it&apos;s no wonder a photo is taken every couple seconds from the top of pier. But tourists aren&apos;t the only ones capturing the stunning pier in photos and videos... the Huntington Beach pier has been featured in a multitude of TV shows and films. The CW&apos;s 90210, Bravo&apos;s Real Housewives of Orange County and HBO&apos;s Ballers have both filmed the pier and it was even the location of a concert scene in Disney Channel&apos;s Austin and Ally. 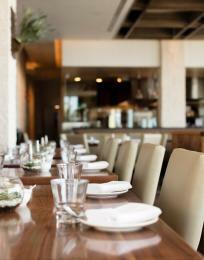 If the pier doesn&apos;t look familiar yet, it can also be seen in an episode of FOX&apos;s Masterchef series.